"If I didn't have movies, life would be pretty boring." Magnolia has debuted the official trailer (+ poster) for the documentary The Wolfpack, a Sundance sensation and winner of the Grand Jury Prize earlier this year. The filmmaker, Crystal Moselle, follows six brothers from New York City who are huge movie buffs, recreating scenes in their apartment, but are also kind of kooky because their parents lock them up in their apartment. Yea, you have to see this story to understand, and they make for very interesting subjects that are easy to root for as fellow movie lovers. They make all the props themselves, from things found in their apartment. Unfortunately the filmmaking is a bit weak, but it's a fun story to see otherwise. Check this out. The six Angulo brothers have spent their entire lives locked away from society in an apartment on the Lower East Side of Manhattan. Nicknamed The Wolfpack, they're all exceedingly bright, are homeschooled, have no acquaintances outside their family and have practically never left their home. All they know of the outside world is gleaned from the films they watch obsessively and recreate meticulously, using elaborate homemade props and costumes. For years this has served as a productive creative outlet and a way to stave off loneliness—but after one of the brothers escapes the apartment (wearing a Michael Meyers mask for protection), the power dynamics in the house are transformed, and all the boys begin to dream of venturing out. 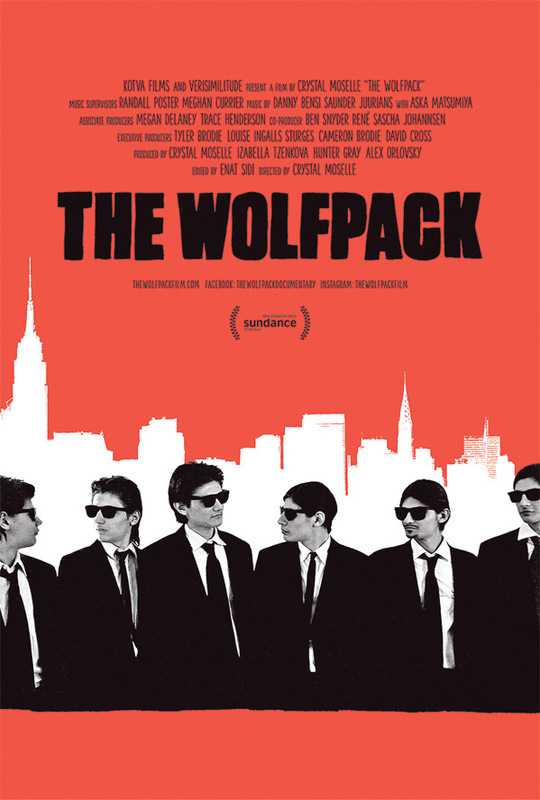 After winning Grand Jury Prize at Sundance, Magnolia will release The Wolfpack starting June 12th.